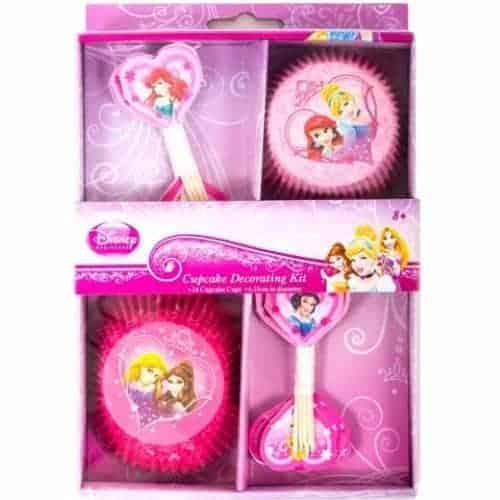 Disney Princess cupcake decorating combo pack. 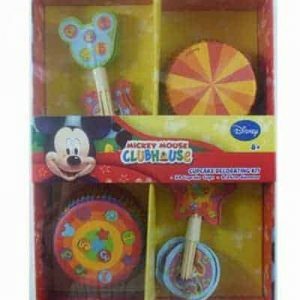 Pack contains 24 paper baking cups and 24 cupcake picks. 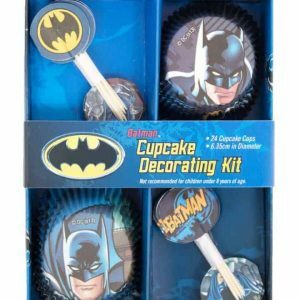 This decorating kit comes with two designs of cupcake wrappers and assorted Batman themed cupcake picks. 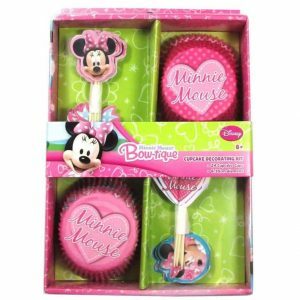 Simply make and ice some cupcakes in the baking cups then stick the picks in and you have some great yummy cupcakes.